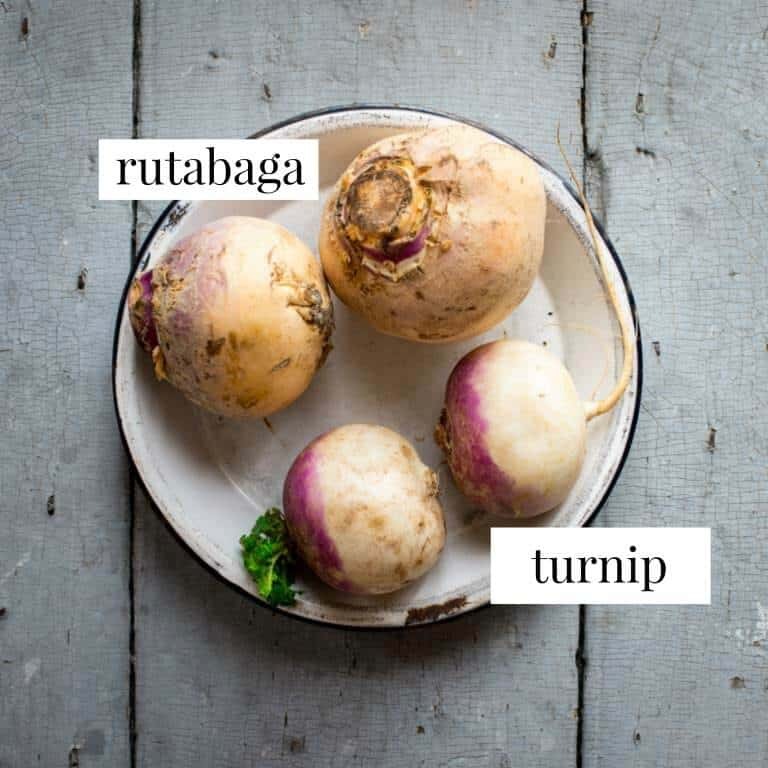 Have you ever wondered how to tell the difference between a turnip and a rutabaga? Or how to cook turnips for that matter? Find out the answers today in the Ultimate Guide to Turnips, plus tips on how to store them and more. What is the Origin of Turnips? Turnips are a root vegetable in the family Brassica that are thought to have originated in Asia. 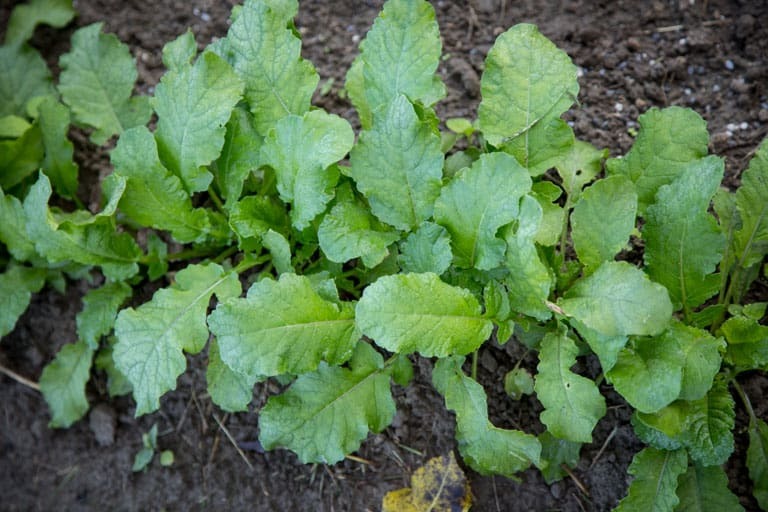 Do Turnips Survive a Frost? Yes, they can be harvested after one or two frosts. What kind of soil do Turnips Prefer? They can tolerate a slightly alkaline soil (they prefer 6.0 to 7.5.) 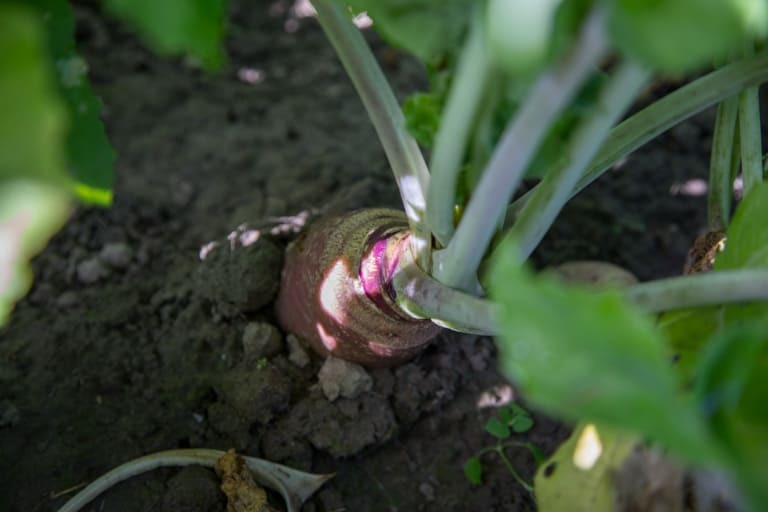 As with most root vegetables, turnips grow best in loose and deep soil. What are the different varieties of turnips? The most common “grocery store” turnips available here in the US are Purple Top, though there are dozens of varieties including Japenese turnips. When peeled purple top carrots are white inside. Golden turnips, are golden inside and out. Hakurei are a common variety of Japanese salad turnips. 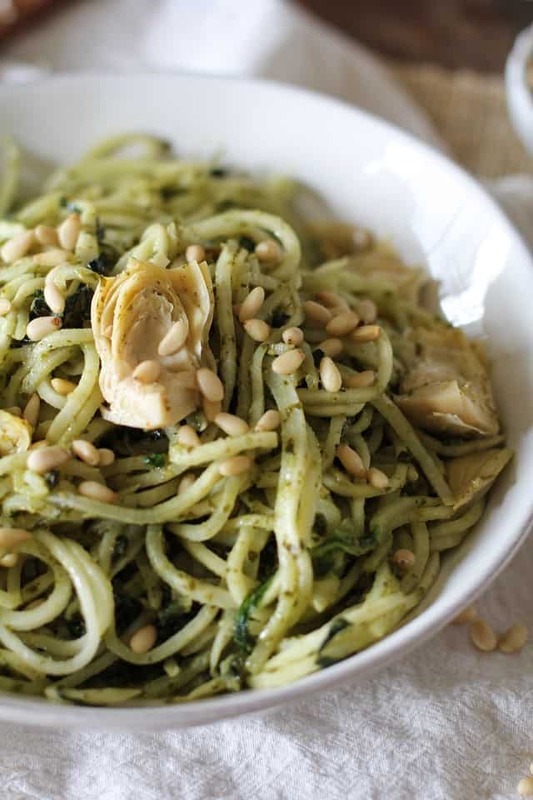 They are creamy white in color, with delicate green leaves and are eaten raw and do not need to be peeled. They have a crispy slightly spicy flavor, similar to radish. The following information in this section about Nutrition was provided by RD and my friend Danielle Omar, Integrative Dietitian and creator of Nourish: 21 days of Clean eating. Find her at foodconfidence.com. Why do turnips cause gas? Turnips are a member of the cruciferous vegetable family (alongside cauliflower, broccoli, cabbage, and more). Cruciferous veggies contain an oligosaccharide called raffinose, which our digestive systems cannot break down. That means raffinose makes it to the large intestine undigested, where bacteria ferments the raffinose and creates a byproduct of gas. Yes, turnips are considered low FODMAP, meaning they’re low in certain fermentable carbohydrates that may contribute to digestive distress. 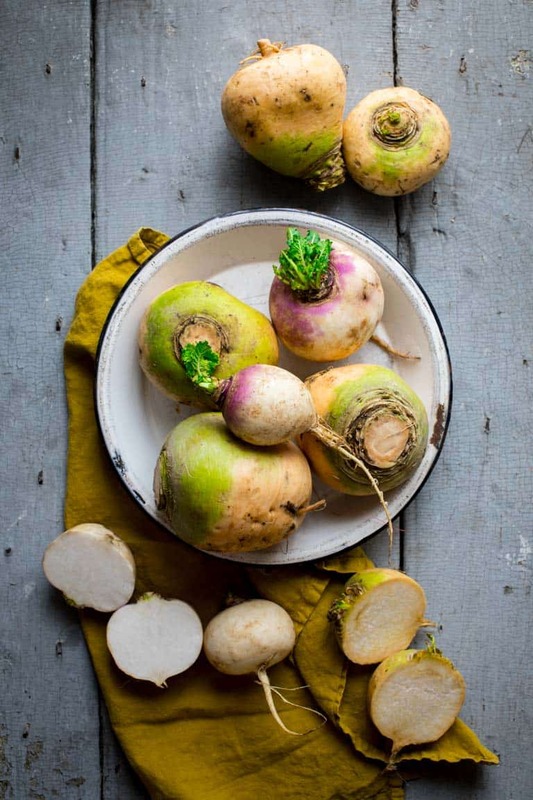 Even though turnips contain raffinose and may produce gas, they don’t contain high levels of the fermentable carbohydrates typically known to worsen symptoms of conditions like Irritable Bowel Syndrome, Crohn’s Disease, and Colitis. Can they cause constipation or diarrhea? Vegetables high in fiber tend to help regulate bowel movements, rather than cause distress like constipation or diarrhea. There’s no evidence that turnips cause constipation or diarrhea, and they might actually help! Are they high in carbs? Turnips aren’t especially high in carbs, especially compared to starchier root vegetables like potatoes, sweet potatoes, and parsnips. Turnips are mostly made of water – they’re 94% water, 5% carbohydrate, and 1% protein by weight. Their carbohydrate count is closer to that of their cruciferous veggie cousins like broccoli and kale. A cup of diced turnips has just about 8 grams of carbohydrates, while a cup of broccoli and kale each have 6 grams of carbs. How do they compare to a potato nutrition wise? Turnips have fewer calories than potatoes, with just about 36 calories per cup versus a little over 100 calories per cup of diced potatoes. Both turnips and potatoes have similar amounts of fiber and vitamin C per cup, but potatoes’ total carb count comes in at about 24 grams per cup, compared to turnips’ 8 grams of carbs per cup. Potatoes are higher in potassium, however, supplying about 20% of your daily needs per cup, while turnips only provide about 12% per cup. What is their glycemic index/load? Turnips have a glycemic index of 62, which is considered moderately glycemic. Pairing them with sources of protein can help reduce their glycemic impact to prevent quick blood sugar spikes. Are they a good choice for diabetics? Eating too many turnips without sources of protein and fat to slow down carbohydrate absorption can lead to poor control of diabetes. However, diabetics don’t necessarily need to avoid turnips. They’re high in fiber, vitamins, and minerals, and can be a great low carbohydrate alternative to potatoes. The glycemic load of potatoes ranges between 80-110, falling in the “high” range in which carbohydrates are released quickly into the bloodstream. Turnips’ lower glycemic load makes them a better choice for diabetics, in moderation. Is the wax found on some turnips harmful and or bad for you? Most of the time turnips aren’t coated in wax – “wax turnips” are actually rhutabagas! The thin layer of wax on the outside traps moisture to keep vegetables from drying out. While it’s food grade wax, sometimes the waxes found on produce are petroleum-based and can contain solvent residues and trap in pesticides on non-organic produce. Produce can also be coated in natural waxes (like carnauba and beeswax), which is an organic alternative to petroleum-based waxes. Both petroleum-based and natural waxes are cleared as non-toxic, but it’s recommended that you wash and peel turnips and rhutabagas before eating to avoid the wax altogether. Why are turnips good for you/ what do they do for the body? Since turnips are cruciferous vegetables, they’re associated with cardiovascular health and cancer prevention thanks to their anti-inflammatory benefits. They’re also rich in vitamin A, which is essential for healthy vision and immune health, vitamin C, an antioxidant that fights free radicals and promotes immune health, and vitamin K, which is essential for healthy blood clotting. Turnips are high in fiber, making them filling and beneficial for digestive health, but lower in carbs than other root vegetables like potatoes. What makes them taste bitter? Turnips that are harvested while young have a sweet and mild flavor, without any bitterness. As they continue to grow or age, they can become bitter and end up with a woody texture. The bitterness is caused by compounds called cyanoglucosides, which produce a bitter flavor to some people who have a certain paired gene. Similar to how some people love cilantro and some people think it tastes like soap, your genes can determine whether or not you taste the bitterness in turnips. If you’re not a fan of bitterness, look for smaller turnips with greens that are fresh and brightly colored. That means they were picked while young and haven’t been sitting around long enough to turn bitter! How do I choose turnips? Choose turnips without any sign of rot. Try to purchase them in groups of similarly sized turnips so they can be cut and cooked at the same rate. 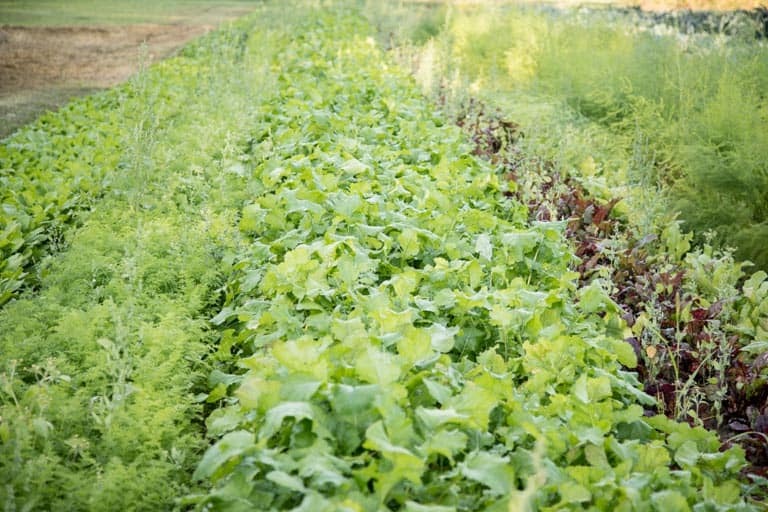 If the greens are attached, look for fresh (un-wilted greens) as that is a sign they were freshly picked. Once the greens start to wilt, they will pull moisture from the roots. How Do I Tell The Difference Between a Turnip and a Rutabaga? Turnips are usually smaller, and thinner skinned than rutabaga. Rutabaga are rarely sold with greens attached and are often coated in wax. Though there are golden varieties of turnips, mostly rutabaga are easily distinguished because they are more golden in color. What is the best way to store Turnips? Store turnips in a plastic bag in the produce drawer of your fridge. According to High Mowing Seeds “Unwashed roots can store for several weeks at 32°F at a high relative humidity as close to 95% as possible. With good air circulation, topped roots can be stored four to five months.” If you buy them with the greens attached, cut them off and store them separately, as the greens will pull moisture from the root. Turnips do not freeze very well, as they become mushy. Once they are thawed, they are best used in stews or soups. Mashed turnip freezes well and can be blended into other mashed root vegetables such as potatoes. Turnips are mild and slightly spicy, similar to a radish in flavor. They have a slight sulfurous note as they are part of the brassica family. What do they go with? Turnips go great with pork. They are often paired with other root vegetables and cook nicely in stew recipes. Strong flavors like smoked bacon, miso and Dijon mustard pair well with turnips as do spicy and creamy sauces, such as horseradish. They can also be paired with sweet glazes. Try roasting peeled turnips with olive oil, dried herbs, salt and pepper until tender. Use a hot oven 400- 425 degrees F, and turn occasionally until browned in places and tender when pierced with a fork. 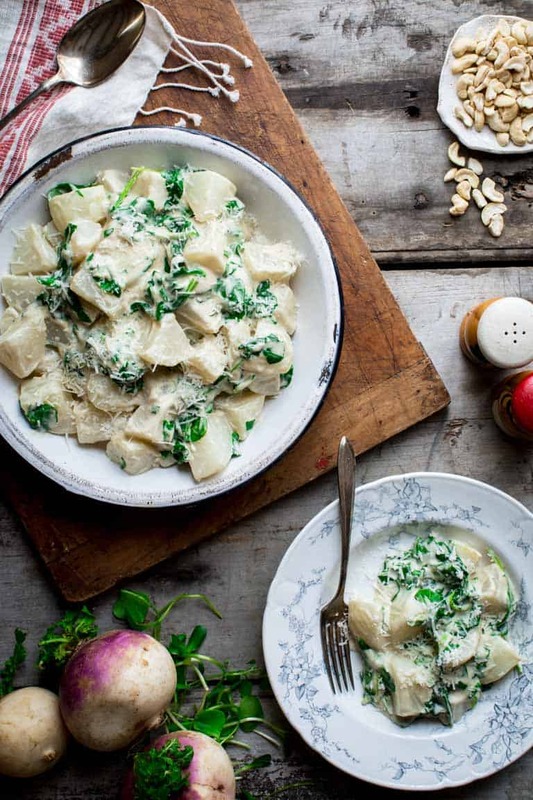 Drizzle hot turnips with Balsamic vinegar and sprinkle with chopped parsley. Toss cubes of hot steamed turnips with minced garlic cooked in olive oil. Add in salt, pepper, chopped thyme and grated Parmesan, and serve immediately. Serve with roasted chicken and chopped winter salad. Salad turnips are delicious raw. They are crisp like an apple, and sweet and peppery like a radish. They do not need to be peeled. Purple top and golden turnips, while technically edible raw, are more palatable when cooked. They are fibrous (like a beet) and if served raw should be finely shredded or jullienne cut. What do you like to do with Turnips? Have you grown turnips in your garden? Do you like to store turnips in the freezer, and if so how do you cook them once they are thawed? I am a big fan of turnips! 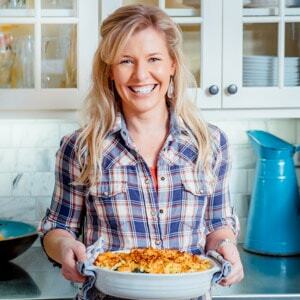 What a great post, thanks for including one of my recipes! Thanks so much for coming by Kalyn!